A piece of music can never be too long; certain attention spans can only be too short. Klaus Schulze has created an immense array of unique and beautiful albums, but this one takes the prize. Mirage is one of the timeless achievements of humanity, one which survives through years and years of rigorous listening and observation. The liner notes for Mirage list the composer as living from 1947-2250; this is the truest testament to his musical ideas than any other. I. Velvet Voyage. This first piece in the collection opens with a subtle yet ominous wave of avant-garde pads and textures, becoming more intense and plainly hostile as time passes. For several minutes, the sound world that Schulze creates is immersed in fear and insecurity. Sounds of whooping animals, far removed from anything on Earth, echo in the distance. The best thing that can be said about music is that it transcends the fact that it is merely sound and imprints a meaning onto the mind of the listener. Velvet Voyage is a perfect example of this sublime idea of music, this more-than-the-sum-of-its-parts summary. Once the visions of this far off place, perhaps billions of kilometres distant, begin to climax, a small ray of hope comes in. The fear seems to disappear; the clouds and darkness of the night slowly fall way to introduce one of the stunning moments in all Western music. A noble, deep, and wide synthesizer solo enters the fray to tell the listener that all is finally well. The journey of failing light and fear has ended, and the destination has been reached. It is easy to speak in such vague terms, because this music is incredibly ambiguous; everything is left up to the imagination. 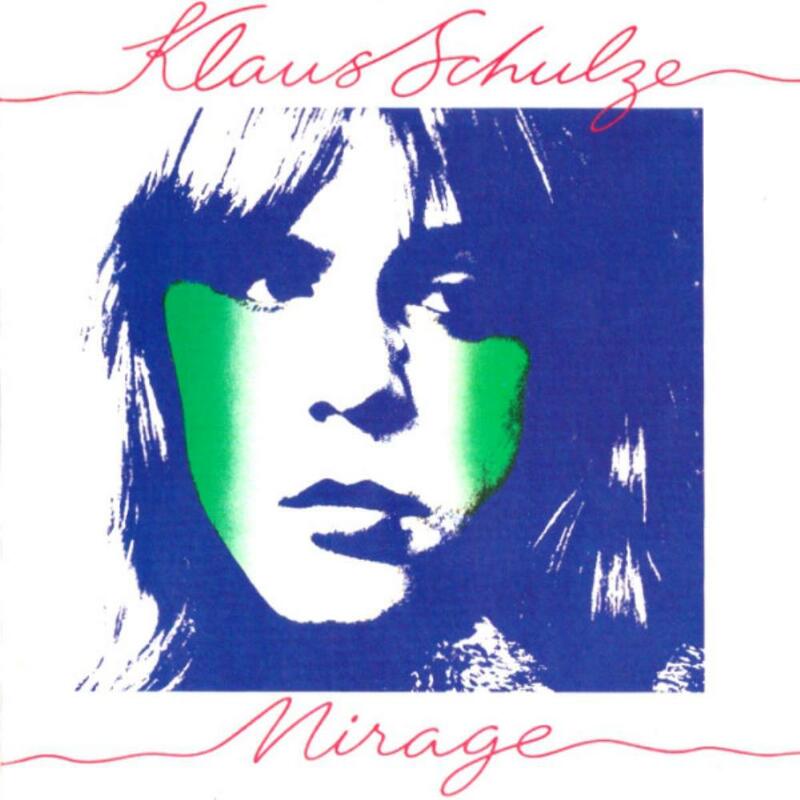 This is the genius of Klaus Schulze, in his experimentation. Similar to a peaceful horn call after a turbulent storm in the midst of spring rains, this solo ebbs and flows like liquid over a canvas of sound. Over many minutes, ones which seem timeless and infinite, the beauty evolves, slowly becoming more distant with every minute, until it disappears into immortality. Velvet Voyage is one of the stunning pieces from the heyday of the Berlin School of Electronic Music. This cannot be described in any way other than cosmic. There are thousands of manners and words which could be used to pin genres and meanings to this, such as symphonic and atmospheric, but it is truly, in the original sense of the word, cosmic. The sounds are not simply electronic signals anymore; they become representations of the will this collective species has for exploration, journeys, and new places. II. Crystal Lake. If the first piece of this collection was indeed the massive voyage to a new realm, Crystal Lake is the arrival and impressions the voyager has. At the same time, it is a much more ambiguous, rhythmic theme in stark contrast to the withering pads and floating textures of the opener. This piece is composed of brilliant, shining displays of vibraphones and synthesized percussive instruments. It seems to come out of nowhere, as a bright ray of light from the nearby star of this odd planet that has been stumbled onto. The light creates wider holes in the clouds, slowly pushing through over the course of ten minutes, layer by meticulous layer adding on to the original vibrating textures. There is no sense of overt experimentation or modernist oddity; this is perfectly structured and thoroughly composed music of the highest order. The constant shifting and moving of the main line, in addition to the similarly extroverted synthesizer layers that are added onto it, makes the piece completely alive. Health, strong music that instills thought-provoking images to the imagination; that is the best way to describe Crystal Lake. After the half-way mark of this twenty-eight minute soundscape, the chilling tubular bell-esque rhythms slowly fade away into haunting oblivion. All that remains is the endless sequencer formation, slowly and deliberately winding its way up and down, almost imperceptibly. It has become a ghost of its former self, dying away with a quiet nobility. After this quiet landscape of colours and textures smooths out to near-silence, the original theme comes back momentarily, a ghost of its former self, and then fades away again. All becomes silent, leaving the subject and listener to sit back and think. Crystal Lake is one of the best progressions of rhythms, ideas, and harmonies in the history of electronic music. This is not music of a composer who is simply bored and improvises random melodies; this is deliberate, full, and worth every moment of thought. III. In cosa crede, chi non crede?. This bonus is more of an epilogue than a conclusion proper. The overall feeling is of wandering thoughts, perhaps in some dimension far away in time and space. It is almost a picture of the universe, complete with thought-provoking sounds and effects. Beginning with a small and ominous organ, the music seems set to turn dramatic, but instead falls into a hypnotic spell of trance-like wonder. Almost nothing appears to happen for more than eleven minutes (in a nineteen minute long piece of music) as the dry and bare synthesizer waves slowly evolve under a bubbling line of sequencer. In a clever move by the composer, this addendum or add-on to the original album eventually develops a very quiet and subtle imitation of the themes from the original pieces. The chord progression of Velvet Voyage, changed to a degree that is almost impossible to detect, weaves its way below a rhythmic structure that sounds like Wind Chimes, with the slightest hint of a breeze. This marriage of the first two pieces really does act as a kind of epilogue, recounting the events of the voyage and the wonders of the crystal lake. Toward the end, a subdued phasing effect begins to wind the music down, killing it slowly until it fades away like all else. This piece is not as significant as the two original pieces, and is approached from a much more ambient course than a purely progressive electronic idea. This does not at all subtract from the music; it is merely different! If there was no variation in Schulze, he would would lose the ability to create attention and capture the audience. This music certainly captures the audience, sends them on a journey of the mind, and brings them back through stark silence. Overall, this album and its 2005 re-release with bonus track is one of the miracles of modern music. There are no areas of music with percussion (in the sense of drums), only slight use of bass guitar, and no guitar, electric or acoustic. Everything is composed of some of the most beautiful and grandiose synthesizer patches to ever come out of an instrument. An absolutely 5/5 tour of the universe and the mind of a truly inventive musician.